Color Blast required all customers to sign up for an account before making a purchase. Register for a free account here. Browse product on our website. Click on New Arrival for latest collection, or click on Individual Collections to browse by category. Choose a product you wish to buy, quantity to order and click button Add to Cart. You will be redirect to a cart page. Click Proceed to Checkout to make a payment. Fill up all the required forms. You will be given an options for payment method. 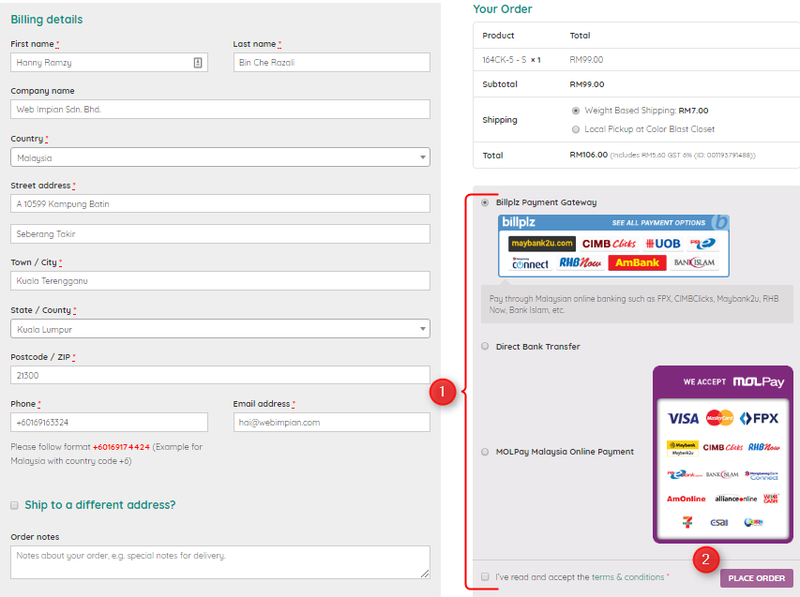 Currently we accept 3 types of payment, Direct Bank Transfer, Billplz (all Malaysia online banks through FPX) and MOLPay (Malaysia Online Payment). Click on button Place Order to finish the order. You will be emailed an online invoice by Color Blast.